The hotly contested and highly controversial Tax Cuts and Jobs Act of 2017, is officially signed, sealed and delivered. With so much of the TCJA devoted to dollars connected to primary residences, it has many in San Carlos scratching their heads in confusion. At first glance, the TCJA seems to be overwhelmingly negative in its impact on San Carlos real estate. However, that may not necessarily be the case if you’re willing to look a bit deeper. I have been preparing for this article for the last few weeks. It is a blend of insights from San Carlos real estate/our local economy/and tax preparation. I also quickly realized that I was well out of my league on two of those three topics and needed to make sure that I spoke with the correct people in those fields and gave myself ample opportunity to conduct the appropriate due diligence. Also, understand that portions of the TCJA are still being interpreted and several parts of its implementation are still not fully understood. Limits on Deductible Interest on Home Loans Lowered. Those purchasing a home in 2018, will be capped at $750,000 in terms of a loan amount for which they can deduct interest. This lowers the current loan limit of $1,000,000 by $250,000. (although existing mortgages at the $1,000,000 limit are grandfathered in). Property Taxes/State Taxes. All state and local income taxes as well as property taxes are capped at a $10,000 total deduction. Let’s pull apart the two limitations above and assign them an average value to more fully understand the economic impact. First, most homes are purchased in San Carlos with loan amounts exceeding $1,000,000. It is therefore reasonable to assume that those who purchase a home in 2018, will lose a deduction on $250,000 of their purchase loan. Assuming a 4% interest rate on the loan, those purchasers will lose a deduction of $250,000 x .04 = $10,000. Second, with the average purchase price in San Carlos approaching $1,900,000, prospective 2018 purchasers will be charged about $22,230 in property taxes based on the average sales price. Third, let’s also assume that the average household in San Carlos pays about $25,000 to the state of California. In 2017, there is a high likelihood that all $57,230 would have been deductible. In 2018, this number will be capped at $10,000. Translation: The average San Carlos home buyer will lose $47,230 in deductions in 2018. 2017: A family with a taxable income of $250,000 would be subject to Federal Taxes of $57,716. 2018: That same family now has a taxable income of $297,230 ($250,000 + $47,230 of now, non-deductible items). Under the 2018 tax brackets, that family would owe $59,914. Translation: The net difference is only $2,198 in tax liability. AMT: Additionally, what may close the gap completely for some when referring to the loss of deductions is the lowering or not having to pay the AMT or Alternative Minimum Tax. 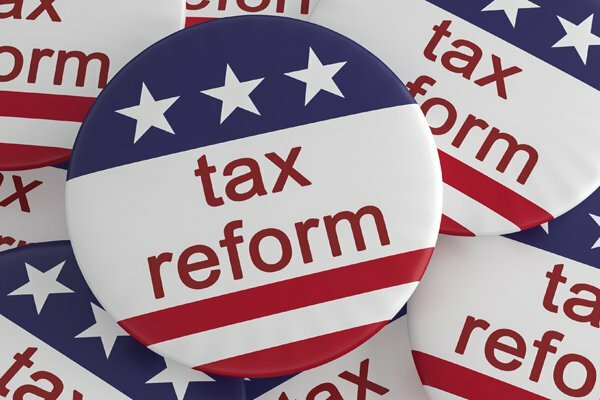 Because the AMT calculation relies heavily on disallowing or limiting deductions such as property taxes and state taxes, the new minimum tax may not be noticeably higher than what the standard tax would be under the new TCJA. It seems fair to say that at first glance the (1) lowering of the tax deductible loan limit and; (2) the $10,000 limitation on state/property taxes will create a noticeable hardship for our real estate market. However, when these two limitations are pulled apart with averages, are off-set against a lower tax bracket and the possible loss or lowering of prior AMT liabilities, the impact becomes far less severe. (1) There are currently 18 peninsula companies who have filed their S-1 and are ready to go public in 2018. Granted, not all of them will be Google-like in their IPO, but it’s a staggering number. The real strength of this statement is that you have a lot of very smart people betting huge sums of money that market conditions will be favorable enough in 2018 to publicly debut their companies. (2) San Mateo County is bracing of a +190,000 new residents in 2018. (3) Inventory is again expected to be very low in San Carlos. (4) San Carlos is receiving more buyers by the truck load each and every week after those buyers have been simply priced out of cities such as Palo Alto, Menlo Park and Burlingame. A home I took offers on two weeks ago had five offers. All five offers were from Palo Alto agents and from buyers who simply gave up on Palo Alto. At first glance, the much discussed real estate related limitations in the TCJA seem overly burdensome toward our market. However, when examined more closely and in totality with other features of the bill, those once seemingly negative effects become heavily marginalized. Insert those results into a powerful San Carlos real estate market that is aided primarily by very favorable, broader economic conditions and it seems reasonable to assume the San Carlos market will remain mostly unfazed by the TCJA for the foreseeable future. Disclaimer: While I do hold my license to practice law in the State of California (CBN 208771), nothing in this article should be considered legal, accounting or financial advice.